Thanks, as always, to The Broke and the Bookish for hosting such a wonderful feature. 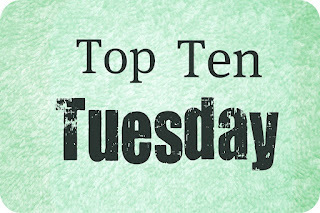 This week's Top Ten List is for the most anticipated books in 2013. There are SO MANY books that I'm looking forward to, it was very hard to narrow this list down to just ten. So I did what I normally do and I narrowed it down further by only choosing books in 2013 that are written by British authors. Dead Romantic by CJ Skuse - I adore CJ Skuse! 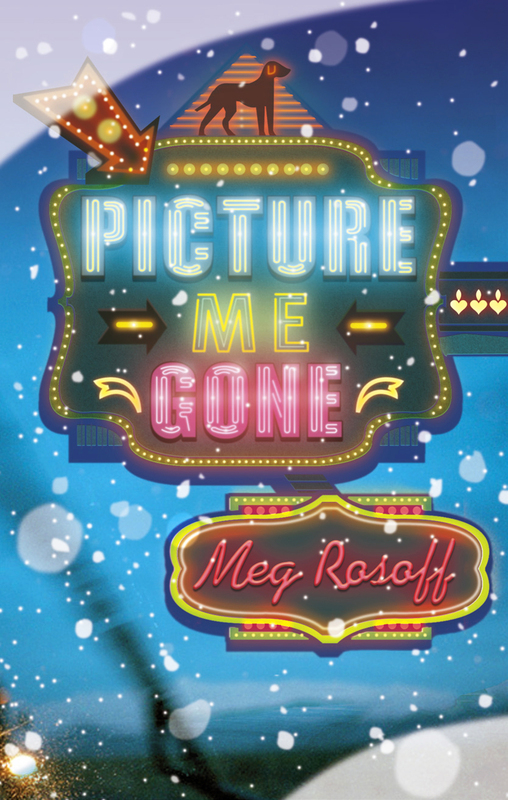 And the cover for this one makes me happy. Look out for it in February! One year after the suicide of one of their friends, the rest of the group decide to spend the summer together in a holiday villa in the Mediterranean. They're hoping to get over the terrible events of the previous year, but then a new guest arrives - claiming to have evidence that the suicide was actually murder. 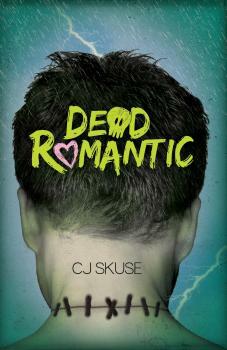 When she is found dead, it becomes clear that the killer must be one of them - but who is it? And will they strike again? Jammy and Sonny McGann are brothers, but that's where the similarities end. One is calm when the other is angry; one has a plan while the other lives purely in the moment. When Jammy returns from Afghanistan a very different man to the one who left, it's Sonny who is left to hold things together. But just how far will he go to save the brother who always put him first? The Worst Girlfriend in the World by Sarra Manning - No cover for this one yet, but due to be published by Atom in May - about two best friends fighting over the same boy. I do love Sarra Manning! 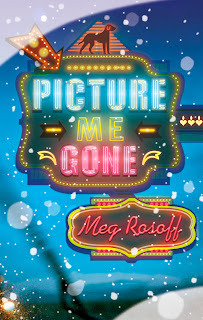 Picture Me Gone by Meg Rosoff - Look for the new Meg Rosoff from Penguin in March! 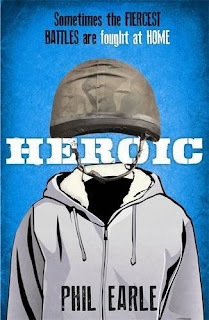 From author's blog: "it’s a heartrending future classic, soon to be a major motion picture, not to mention a thoughtful, insanely sophisticated exploration of the relationship between adults and children. It contains a gigantic easter egg, lots of French toast and a weed whacker." 2113. 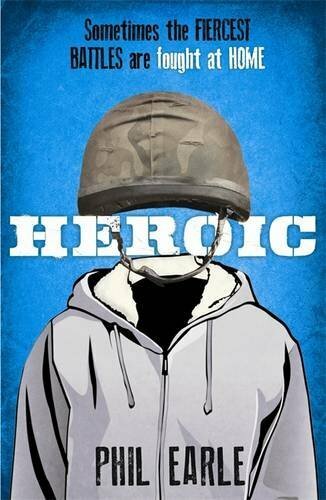 In Jenna Strong's world, ACID - the most brutal, controlling police force in history - rule supreme. No throwaway comment or muttered dissent goes unnoticed - or unpunished. And it was ACID agents who locked Jenna away for life, for a bloody crime she struggles to remember. The only female inmate in a violent high-security prison, Jenna has learned to survive by any means necessary. And when a mysterious rebel group breaks her out, she must use her strength, speed and skill to stay one step ahead of ACID - and to uncover the truth about what really happened on that dark night two years ago. 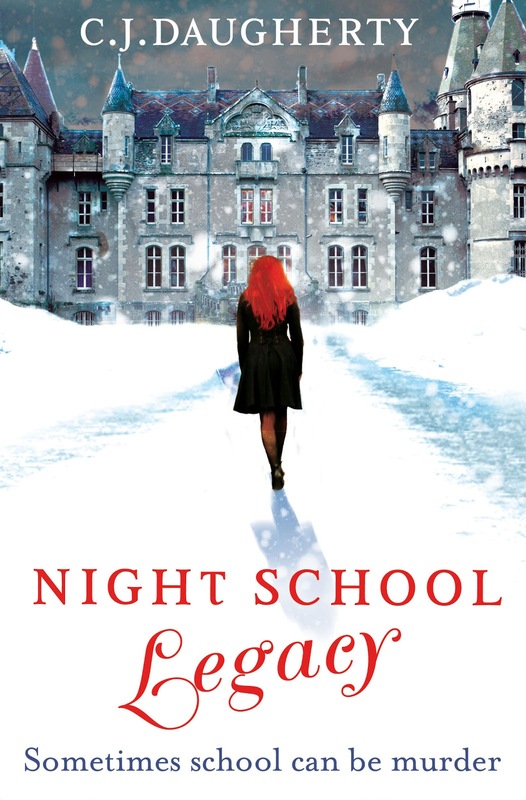 Night School: Legacy by CJ Daugherty - Having loved the first book in this series, I was always going to be excited to read its sequel. 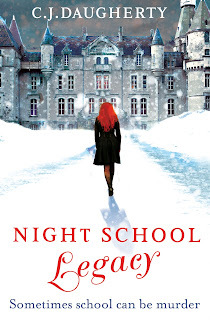 Set in this creepy boarding school, I can't wait to get back into this series and catch up with the characters. Luckily, I don't have long to wait as it will be published by Atom in January! In the last year, Allie's survived three arrests, two breakups and one family breakdown. The only bright point has been her new life at Cimmeria Academy. It's the one place she's felt she belongs. And the fact that it's brought the dreamy Carter West into her life hasn't hurt. . . But far from being a safe haven, the cloistered walls of Cimmeria are proving more dangerous than Allie could've imagined. The students, and faculty, are under threat and Allie's family - from her mysterious grandma to her runaway brother - are at the centre of the storm. Hurt by Tabitha Suzuma - I've been trying desperately to get my hands on all of the books by Tabitha, especially after that emotional rollercoaster of Forbidden. I think I will always look forward to her books. Hurt has no cover just yet, but will be published (hopefully!) in August. 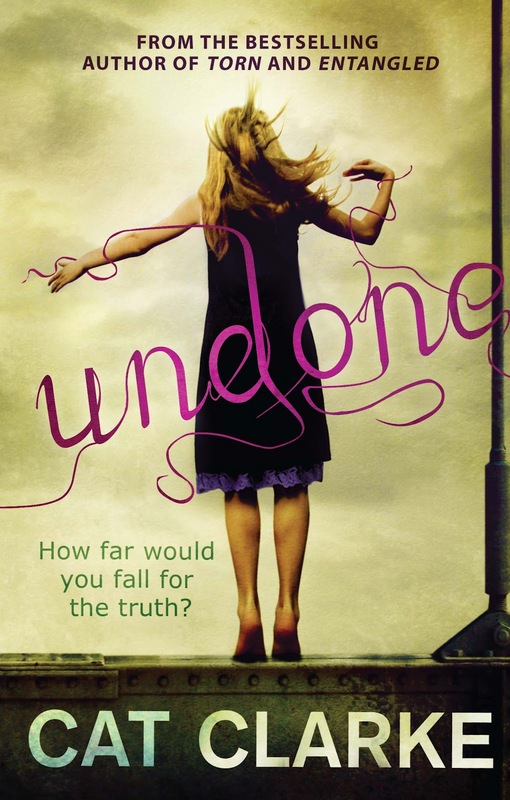 And of course there are the books that I've already read by British authors that are being published in 2013 - I am especially excited for people to read Pantomime by Laura Lam and also Infiinte Sky by CJ Flod! Which books are you most looking forward to in 2013? 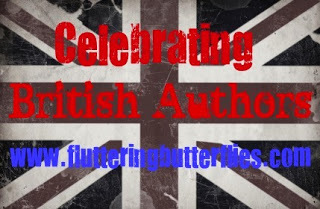 Are there any books by British authors that I haven't included in this list? Will you add any of these books to your wishlists? Ooh thanks for this list. I haven't heard of most of these, and so I'm off to make my to be read pile, just thant much longer thanks to some of these recommendations. Sorry? :) I am very excited about Cat and Zoe's books too. They are amazing writers. And woo me, waving the UKYA flag! I wonder about the same thing! If it's anything like as powerful as Forbidden, sheesh. I won't be able to take it. I love that you've done just UKYA authors on your list! I'll definitely be keeping an eye out for all of these next year, especially Dead Romantic and Picture Me Gone. Great list! Fabulous list! I want them all! YOu and me both, Viv! I know Little M is looking forward to Fracture from Teri Terry; 2 new ones from Lauren St John (one is YA) and probably the third in the Divergent trilogy. I'm definitely looking forward to the third in the Divergent trilogy too! And I really should read Slated..! Oh shucks! I forgot, there's a new Sophie McKenzie thriller due out, and she'll be bursting for that too!